The 'Bring Your Own Device' trend has evolved to empower your workforce through the so-called 'consumerization of IT'. Allow and encourage your teachers to bring their own device in the classroom and make them feel confident in enhancing their teaching strategies with the use of new technologies. Provide them the necessary support to Classter App for Teachers that will give them access to incredible features. Simplify registration processes and record present, absent, and delayed marks in a click. Choose a student and click once to enroll as delayed. By clicking twice, the student will be enrolled as absent. All data are stored locally in the device and sent to the central attendance office when the device goes online. Handle your classroom more easily than ever before. 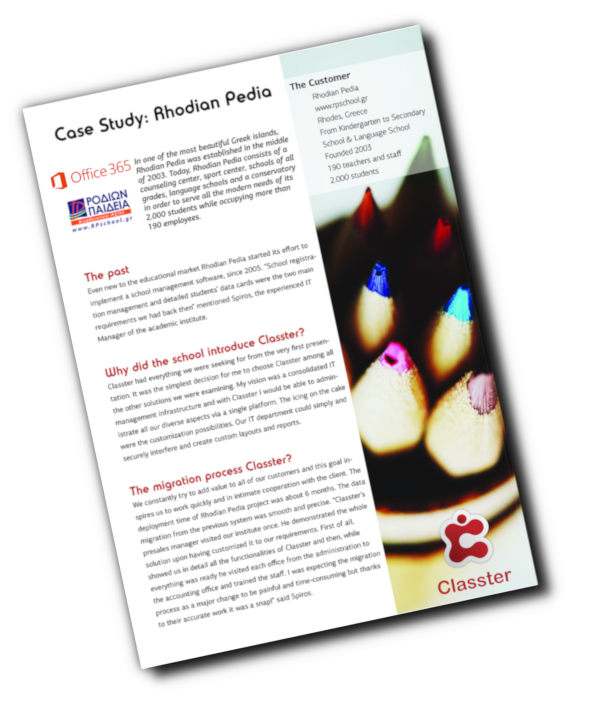 Classter can simplify classroom management. 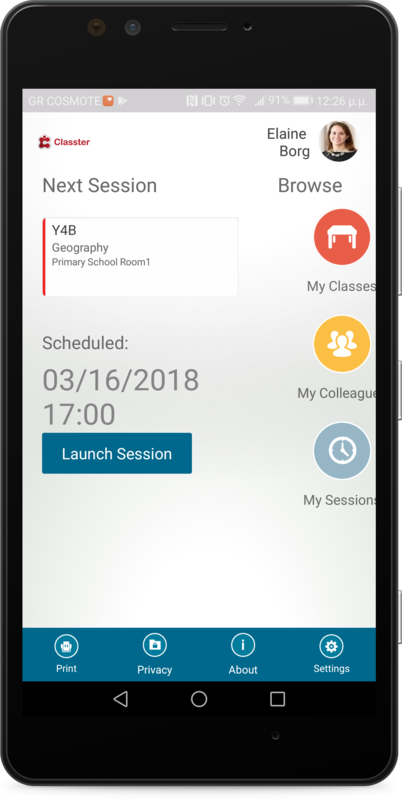 Use Classter App for Teachers to have immediate access to your printable timetable, to the list of your classes, courses, and sessions and to contact data concerning your colleagues and students. Moreover, create students’ seating position, launch a session, exploit the whole class period and focus on learning optimization. The class layout can be easily edited with drag and drop actions. Pin students, classes, courses or colleagues at the windows start page and complete the daily tasks quickly. Real - Time Communication but Off-line also! 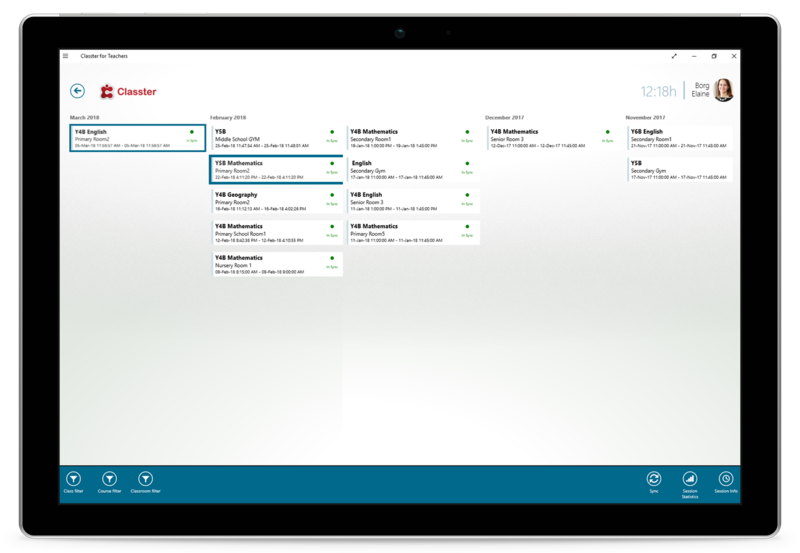 Imagine the data you record in-class to be spread in real-time to parents, students and school admins. 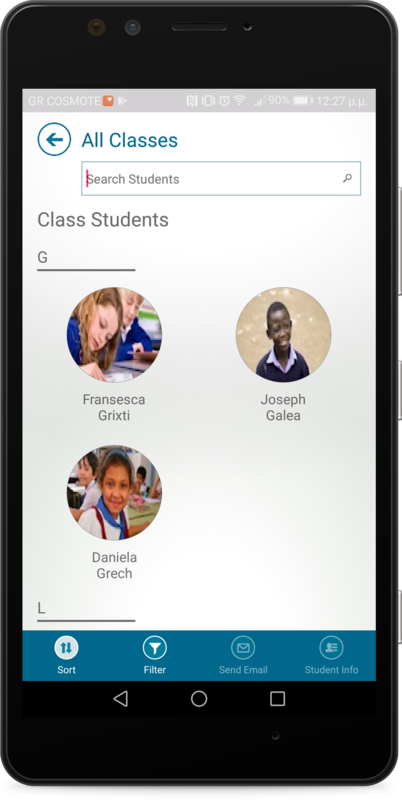 Classter provides the ability for real-time update not only to parents’ and students’ profiles but also to the school administration services. Nevertheless, in case there is no internet connection, Classter App for teachers works offline and auto-sync all session data when there is an internet connection. Motivate your students while in-class. Use Classter’s assessment tools and praise your student’s achievements with badges like Bravo, Best of the Week, Great Idea, Math Wiz and more. Badges can help you inspire your students and motivate them to participate in the learning process actively. Upload your comments, give thumbs up/down and assign weekly schedules, classes, and timetables. Through the system, you get access to students’ academic performance and to statistical data per session or throughout the school period, that will help you grade your students accordingly and notify their parents and mentors.